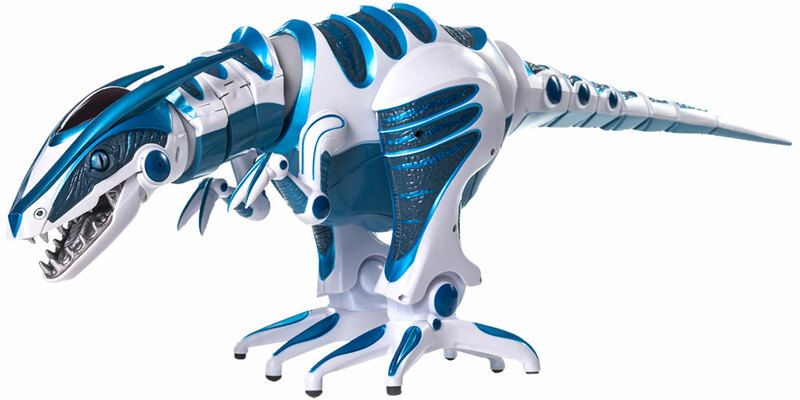 A 32" long robot loaded with attitude and intelligence, and now programmable with any smart device. 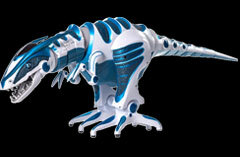 Roboraptor Blue is an exciting update to a classic brand. 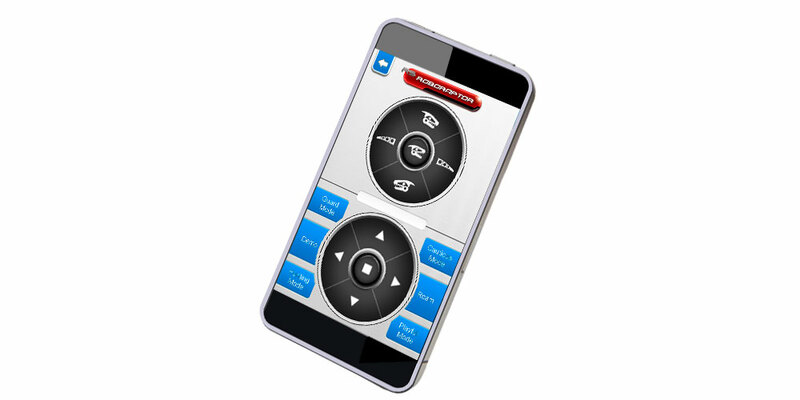 We've added BLE functionality so that it can interact with almost any smart device.  RR Blue is equipped with advanced sensors and technology. 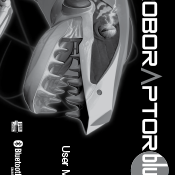 Sonic sensors lock onto sound, vision sensors see you, and touch sensors can provoke Roboraptor Blue to decide if your its friend, or next meal! 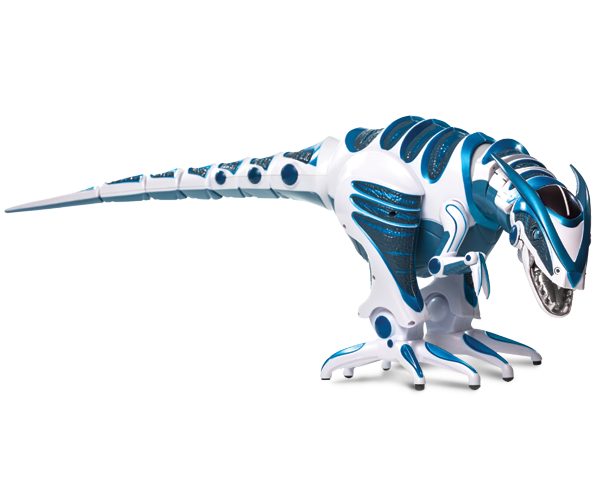 Roboraptor Blue boasts fluid bi-pedal motion, realistic body movements, 3 distinct moods, touch sensors and infrared vision. 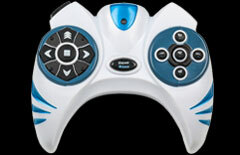 Control it with the included remote or with the free Roboraptor App. Hunter, cautious and playful. 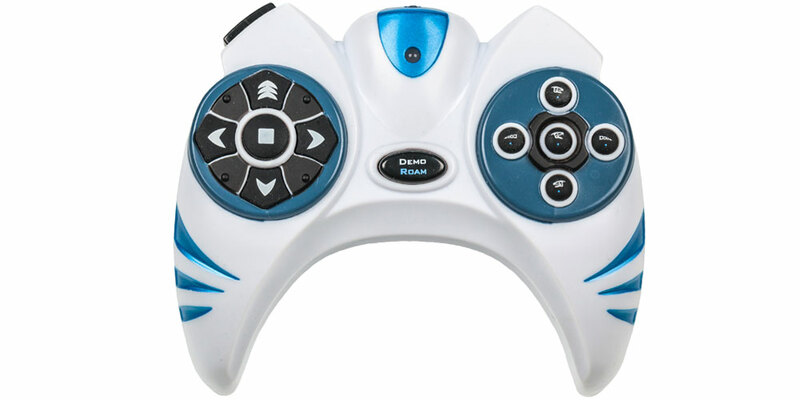 Aggressive/hunting mood; nervous/cautious mood; friendly/playful mood. 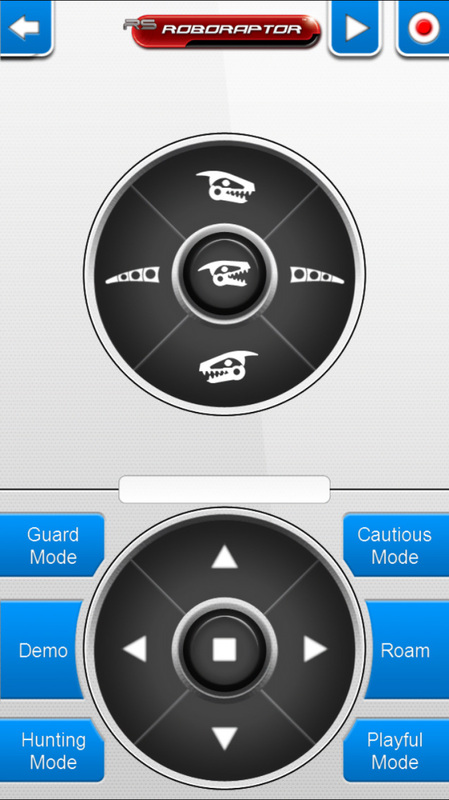 Use the included RC to control Raptor Blue, or use your iOS or Android device to download the free app! 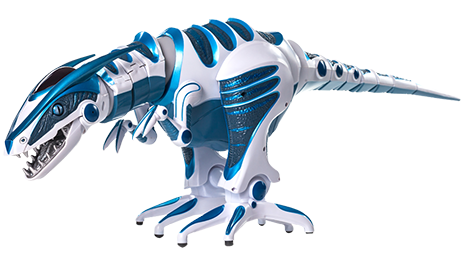 Like Roboraptor Blue, Have you seen Robosapien Blue? 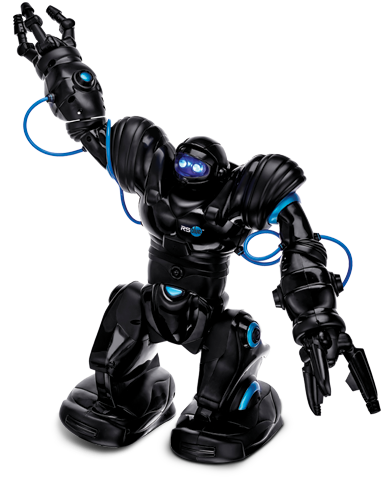 Robosapien Blue™ is an exciting update to WowWee’s award-winning iconic humanoid robot. 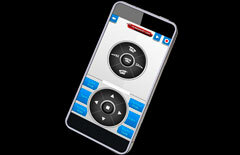 With added BLE functionality, any smart device* can control, and program RS Blue.